It has been a pretty long time since my last blog post but with good reason! The last month and a half I have been spending time on some great SQL Server events like SQLSaturday Holland and SQLSaturday Bulgaria. It was great to see so many people willing to invest personal time so they can get better at their job, I had an amazing time at both events and – as always – the organization was top notch! I even had the honor to be named “Speaker of the Month” by Grant Fritchey on his blog for my session at SQLSaturday Holland. Grant gave me some great feedback that will definitely help me improve as a speaker! After the SQLSaturdays I caught a plane to Seattle to attend the MVP Summit. Heared a lot of great stuff and met a lot of MVP’s from all types of technical fields and had an amazing time there. Jetlag will never be my friend though, it’s a nine hour time difference between The Netherlands and Seattle and it took some time to adjust (like working out in the hotel gym at 4 o’clock in the morning:-)). I am also working on some great new stuff and hopefully some new SQL Server events as well! 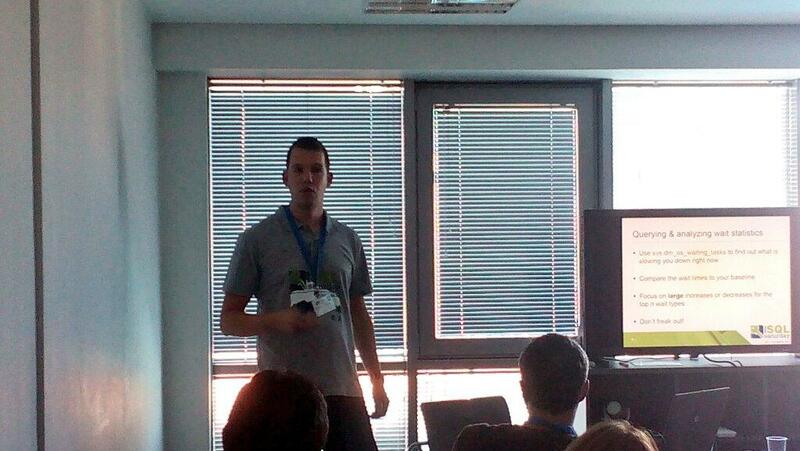 Thanks to Nikoal Dimitrijevic (@SQLNiko) for the action photo!